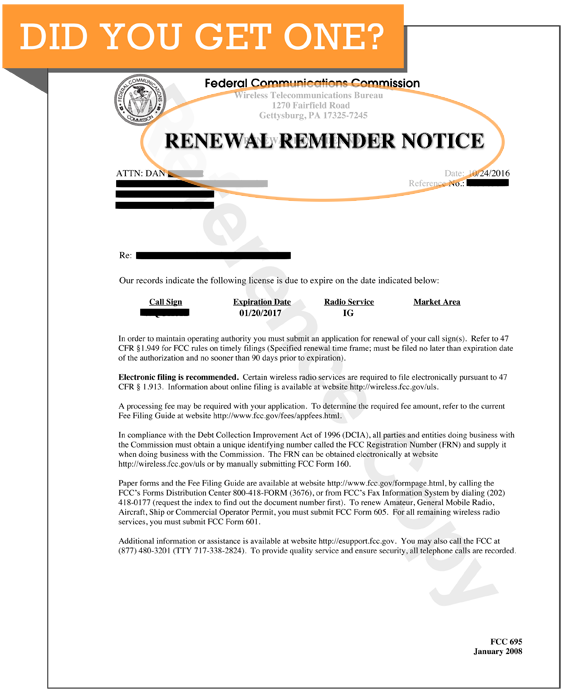 HHW Group’s Wireless Practice will prepare and submit an electronic renewal filing to the FCC on your behalf. We must receive your request at least 30 days prior to your license expiration date or other deadline. We guarantee that your application will be filed on time if received prior to 30 days to the required action date. Contact Us Now for a free consultation at 888-710-0903. Please have your call sign available.